SoftBank CEO Masayoshi Son has commented on the status of SoftBank and Sprint as both companies have yet to feel the benefits of SoftBank's $21.4 billion acquisition of the American carrier in July. Investors looking for a quick turnaround were warned that Sprint's loss of subscribers would not be changing overnight. "It took around a year after SoftBank bought Vodafone (before) we reached the No. 1 position of net gains in subscribers," Son said in a statement to investors on Monday. "It takes time to get devices ready and prepare services and the network. At the very least you need half a year or a year. And for anything substantial you need one or two years." Son's comments follow Sprint recently showing a 14 percent drop in shares since early August. The drop comes even after SoftBank's landscape shifting deal. Son has had great success in changing the fortunes of foreign carriers, including Vodafone Japan, which he mentioned became the fastest growing cellphone carrier in Japan after SoftBank purchased it in 2006. To boost the appeal of his newly acquired mobile branch, Son secured a deal with Apple in that time period and became the exclusive distributor of the iPhone in Japan for three years. 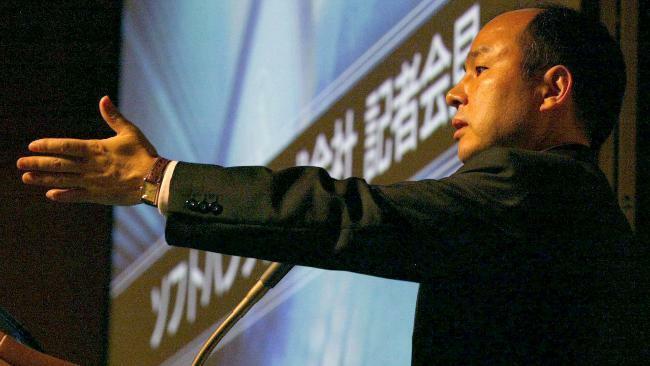 Although rival companies KDDI au and NTT DoCoMo have since picked up the iPhone, that was all the time Son needed to turn around the business and make it a major player. We will have to wait and see what ideas Japan's second richest man has in store for Sprint to turn around years of declining numbers. His history has proven him to be a smart investor, but many around the business world have been calling into question his judgement on this deal. It's going to have to be a big slow burn plan to reignite the company.